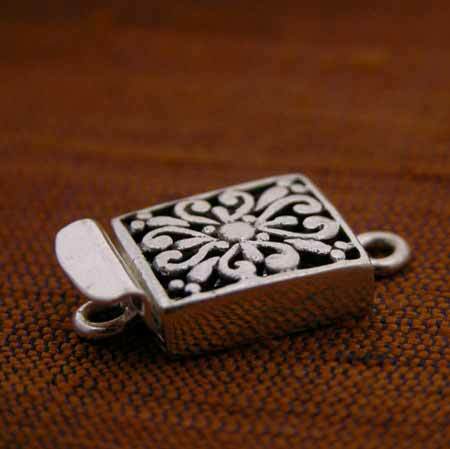 These fantastic clasps have a tongue and groove format that closes securely while adding a dramatic flourish to that necklace or bracelet. Measures approximately 1" long and .50" wide. Clasp handmade in India.